Few wild animals, especially top predators, will go about their daily lives right in front of human observers. Island fox as predator. Researcher Todd West took this photo of a Santa Cruz Island fox on a recent visit to the Channel Islands. 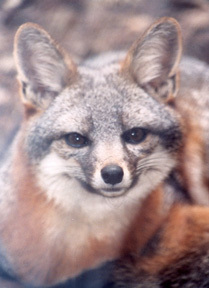 Island foxes in Channel Islands National Park regard people as equals. These tiny predators are not afraid of people because they have had a positive relationship with humans for thousands of years. 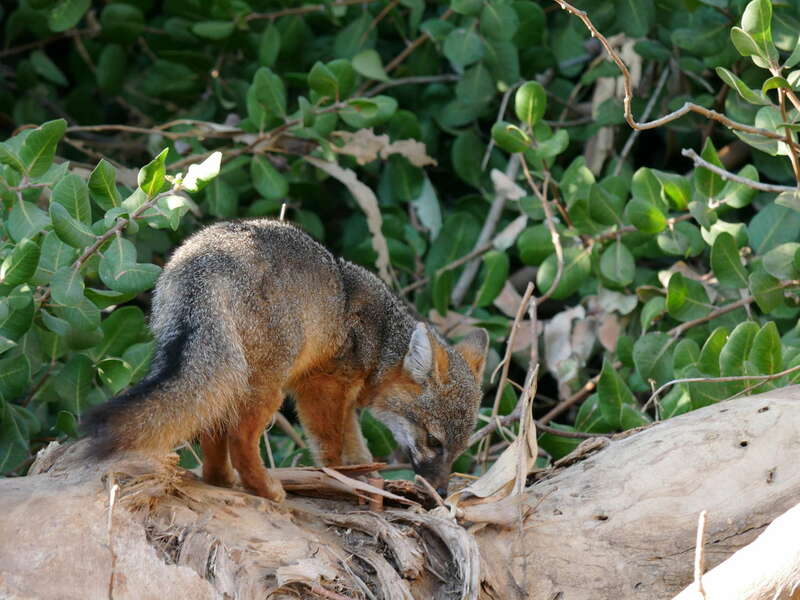 Modern visitors play a vital role in maintaining that relationship; Visiting The Island Fox. Thank you, Todd, for sharing your image with Friends of the Island Fox. Friends of the Island Fox's "12 Days of Winter"